Guenther and Siggi are great agents and even better people. They make sure that I am taking care and that they understand what I want as a player on and off the court. If any problems arise they have been quick to respond and find solutions. I appreciate the genuineness and honestly I have experienced with this agency. I’ve been with GET A PLAY! Agency a few seasons now, and what I’ve been most impressed with is their consistent communication. Also, I’ve appreciated Guenther and Siggi understanding my career goals and their investment in my long term progression. I am excited to work with GET A PLAY!. The Agency is extraordinary - they attend games, communicate consistently and effectively and are always looking to find the best opportunity for their client’s situation. The cooperation with get a play! Is for me and our club a new experiance, which I realize as a very positive one. The collaboration is always reliable and trustworthy. What is get a play! get a play! is an exciting, FIBA and WNBA certified sports management agency – FIBA license number 2009021679 - which is focused on professional women basketball. The team has built a solid partner network and can count on a good experience and a great understanding about professional women basketball. Based on those towers of strength – a solid partner network and well-founded knowledge – we and our partners know very well and have a solid understanding of what it takes to succeed in professional women’s basketball. Our knowledge about all the different leagues and the American College system, same as the intensive contacts to coaches, mangers and clubs enables us to help our players to succeed, make great experiences and to reach the aimed success in professional women basketball. And on the other side it enables us to perfectly meet the requirements of the clubs to fulfill their goals. The welfare of our Players is our top priority! Our primary focus is to represent professional female basketball players worldwide, to give them realistic advice and to promote them. To do so we work on finding the best suitable professional team for them, which complies with an according level and helps the player to reach the aimed professional goals. 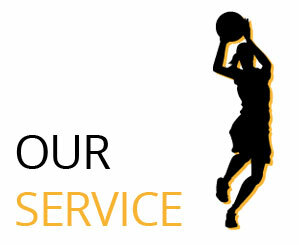 We accompany and support our players over the whole process. This includes to discuss and to plan each step of the career of the player, to develop by this a long-term and trustfully solid partnership. And it means also that, we are continuously in touch with our players, to know about all needs or concerns to be able to help and support. We are proactive, which is the first step to your success! The get a play team! recruits worldwide young talented female basketball players, same as experienced players on a high level and is characterized by a quick, flexible and thorough way of work. Over this way we enable the clubs to find the adequate and right players in a flexible and agile manner. Our “Best Fit Recruitment Program” harmonizes the individual requests and requirements of each, the players and the clubs and is an essential factor for a common success. Based on our proactive Recruitment Program we have a very good knowledge of our players. At the same time we know over a close and continuous monitoring of the leagues, we know the needs of the clubs and are able to respond to the club’s requirements efficiently and straightforward.